A virus that helped wipe out smallpox in the last century is now helping a University of Nebraska-Lincoln virologist better understand human immunity. This research may lead to better treatment of some viral diseases, including HIV and herpes. 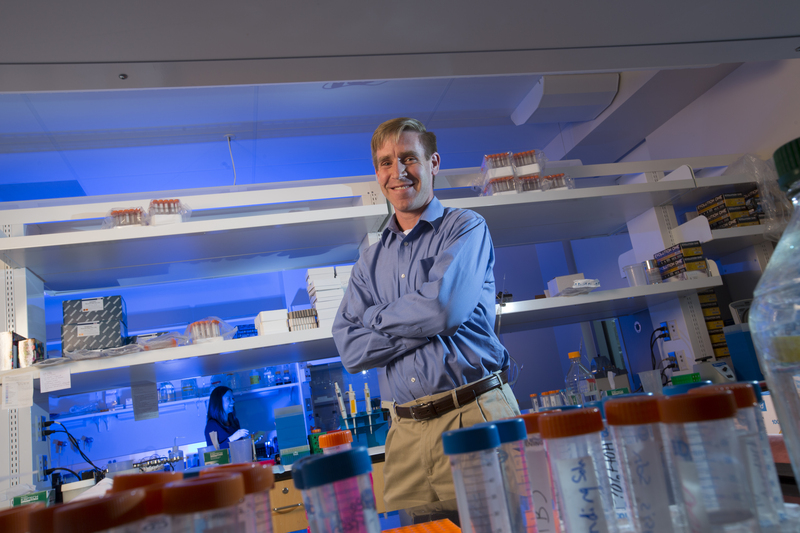 Matthew Wiebe recently received more than $1.8 million from the National Institutes of Health's Institute of Allergies and Infectious Diseases to investigate how vaccinia, a poxvirus used in the smallpox vaccine, evades our bodies' defenses. "We try to learn from viruses to learn about ourselves," said Wiebe, a faculty member in UNL's Nebraska Virology Center and the School of Veterinary Medicine and Biomedical Sciences. "Viruses have been studying us far longer than we have and, in some cases, have evolved tools that can inactivate our key defenses." Previously, Wiebe found that vaccinia focuses its attack on a ubiquitous human protein called BAF. The protein, found in the cells of all multicellular organisms, seems to play a significant role in immunity by binding to viral DNA and preventing it from replicating. But how it functions is not well understood. Wiebe is studying how the BAF protein defends against viral DNA attacks. As a front line of defense, BAF must be available to attack viral DNA, while leaving the body's own DNA alone. It's a balancing act that's not yet understand, though scientists believe BAF has an “on-off” switch that human cells can control. The vaccinia virus has figured out how to turn off BAF. Understanding that process is providing clues about how this key defensive protein works against viral DNA. That could lead to better treatments for viruses that attack by injecting viral DNA into cells, such as HIV. Wiebe also is collaborating with UNL virologist Clinton Jones, who studies herpes virus. BAF appears to inhibit herpes as well, but once an infection occurs, herpes viral DNA is able to persist in human nerve cells. The researchers are investigating how the virus evades BAF: Is the protein unable to detect herpes DNA in this latent state or does the virus have other methods of avoiding BAF defenses? 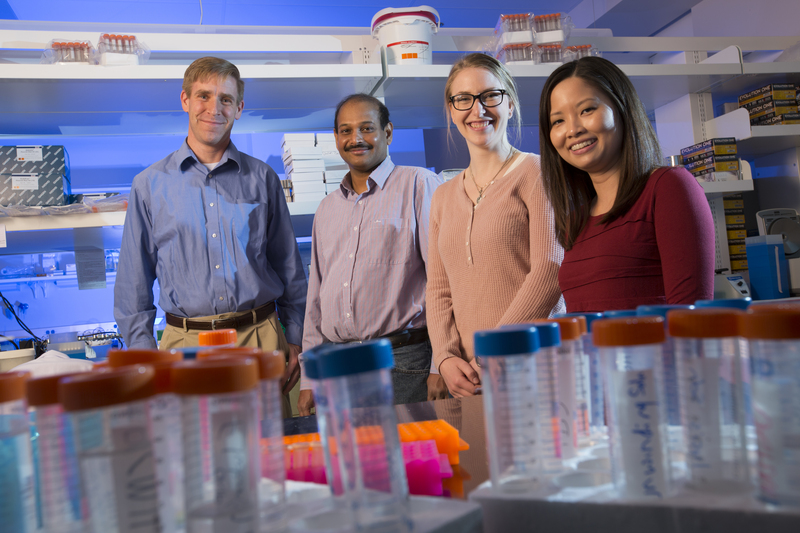 Wiebe's research is part of a scientific effort to understand how human immunity defends against foreign DNA, while protecting the body's DNA. "We need to understand how our immune systems make the decision to specifically target this type of DNA as opposed to our own before we could possibly have a chance of designing targeted therapeutics," Wiebe said. Disclaimer: The research reported above is supported by the Institute of Allergies and Infectious Diseases of the National Institutes of Health under award number R01AI114653. The content is solely the responsibility of the authors and does not necessarily represent the official views of the National Institutes of Health.